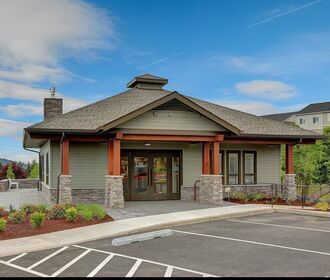 Misty Ridge is a brand new luxury apartment community in Happy Valley, Oregon. Featuring one, two and three bedroom apartments with unprecedented valley views and modern amenities! 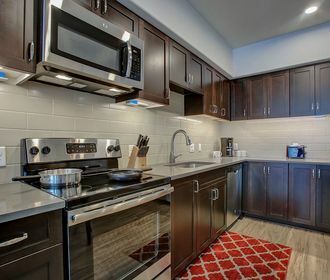 Live comfortably in one of Happy Valley's only elevator served buildings with an attached parking garage. Our residents also enjoy a private community dog park, outdoor gathering spaces, secured parcel lockers and on site management. 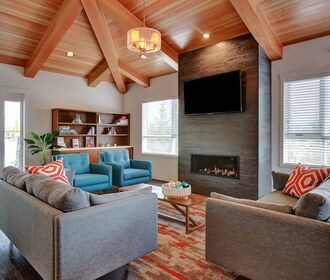 Stop by today to tour your brand new home at Misty Ridge. We are located in the heart of the valley within walking distance to New Seasons, Peet's Coffee and more!